Where Does the Media Industry Really Use Cloud Storage? Our new cloud survey results might surprise you. Predicting which promising new technologies will be adopted quickly, which ones will take longer, and which ones will fade away is not always easy. When the iPhone was introduced in 2007, only 6% of the US population had smartphones. In less than 10 years, over 80% of Americans owned smartphones. In contrast, video telephone calls demonstrated at the 1964 New York World’s Fair only became commonplace 45 years later with the advent of FaceTime. And those flying cars people have dreamed of since the 1950s? Don’t hold your breath. What about cloud storage? Who is adopting it today and for what purposes? At Backblaze, we have a front-line view of how customers use cloud for storage. And based on the media-oriented customers we’ve directly worked with to integrate cloud storage, we know they’re using cloud storage throughout the workflow: backing up files during content creation (UCSC Silicon Valley), managing production storage more efficiently (WunderVu), archiving of historical content libraries (Austin City Limits), hosting media files for download (American Public Television), and even editing cloud-based video (Everwell). We wanted to understand more about how the broader industry uses cloud storage and their beliefs and concerns about it, so we could better serve the needs of our current customers and anticipate what their needs will be in the future. We decided to sponsor an in-depth survey with TV Technology, a media company that for over 30 years has been an authority for news, analysis and trend reports serving the media and entertainment industries. While TV Technology had conducted a similar survey in 2015, we thought it’d be interesting to see how the industry outlook has evolved. Based on our 2019 results, it certainly has. As a quick example, security was a concern for 71% of respondents in 2015. This year, only 38% selected security as an issue at all. For the survey, TV Technology queried 246 respondents, primarily from production and post-production studios and broadcasters, but also other market segments including corporate video, government, and education. See chart below for the breakdown. Respondents were asked 15 questions about their cloud storage usage today and in the future, and for what purpose. The survey queried what motivated their move to the cloud, their expectations for access times and cost, and any obstacles that are preventing further cloud adoption. On the whole, about half of the respondents from all organization types are using public cloud services. Sixty-four percent of production/post studio respondents say they currently use the cloud. Broadcasters report lower adoption, with only 26 percent using the public cloud. Achieving greater efficiency in production was cited by all respondents as the top reason for adopting the cloud. However, while this is also important to broadcasters, their top motivator for cloud use is cost containment or internal savings programs. 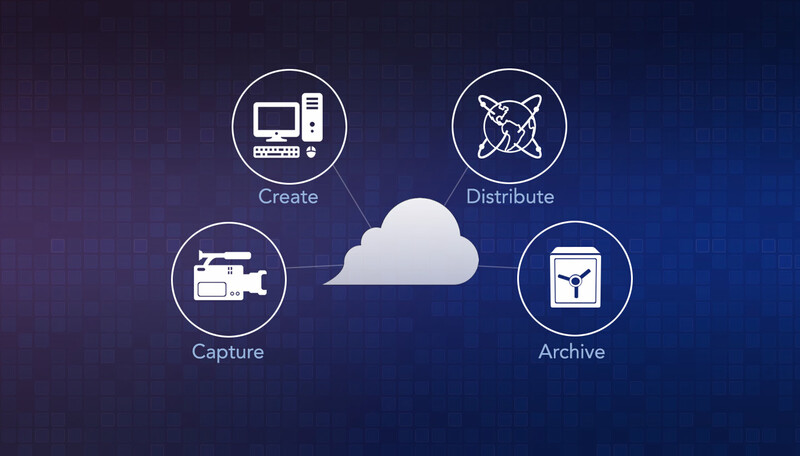 Cloud storage is clearly the top choice for archiving media assets, with 70 percent choosing the public cloud for active, deep, or very deep archive needs. Concerns over the security of assets stored in a public cloud remain, however they have been assuaged greatly compared to the 2015 report, so much so that they are no longer the top obstacle to cloud adoption. For 40%, pricing has replaced security as the top concern. These insights only scratch the surface of the survey’s findings, so we’re making the full 12 page report available to everyone. To get a deeper look and compare your experiences to your peers as a content creator or content owner, download and read Cloud Storage Technologies Establish Their Place Among Alternatives for Media today. How are you using cloud storage today? How do you think that will change three years from now? Please tell us in the comments. 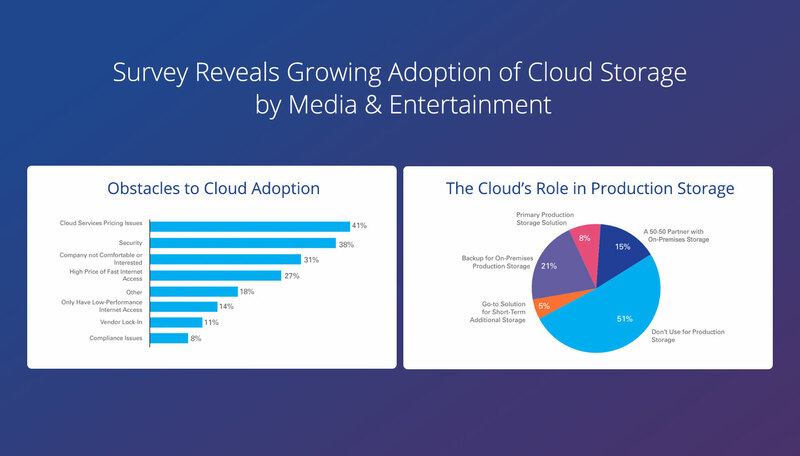 The post Survey Says: Cloud Storage Makes Strong Gains for Media & Entertainment appeared first on Backblaze Blog | Cloud Storage & Cloud Backup. This is one in a series of posts on professional media management leading up to NAB 2019 in Las Vegas, April 8 to 11. There’s a wide range of reasons why businesses want to migrate away from their current archive solution, ranging from managing risk, concerns over legacy hardware, media degradation and format support. Many businesses also find themselves stuck with closed format solutions that are based on legacy middleware with escalating support costs. It is a common problem that we at Ortana have helped many clients overcome through smart and effective use of the many storage solutions available on the market today. As founder and CEO of Ortana, I want to share some of our collective experience around this topic and how we have found success for our clients. First, we often forget how quickly the storage landscape changes. Let’s take a typical case. It’s Christmas 2008 and a CTO has just finalised the order on their new enterprise-grade hierarchical storage management (HSM) system with an LTO-4 tape robot. Beyonce’s Single Ladies is playing on the radio, GPS on phones has just started to be rolled out, and there is this new means of deploying mobile apps called the Apple App Store! The system purchased is from a well established, reputable company and provides peace of mind and scalability — what more can you ask for? The CTO goes home for the festive season — job well done — and hopes Santa brings him one of the new Android phones that have just launched. Ten years on, the world is very different and Moore’s law tells us that the pace of technological change is only set to increase. That growing archive has remained on the same hardware, controlled by the same HSM and has gone through one or two expensive LTO format changes. “These migrations had to happen,” the CTO concedes, as support for the older LTO formats was being dropped by the hardware supplier. Their whole content library had to be restored and archived back to the new tapes. New LTO formats also required new versions of the HSM, and whilst these often included new features — over codec support, intelligent repacking and reporting — the fundamentals of the system remained: closed format, restricted accessibility, and expensive. Worse still, the annual support costs are increasing whilst the new feature development has ground to a halt. Sure the archive still works, but for how much longer? As businesses make the painful decision to migrate their legacy archive, the choices of what, where, and how become overwhelming. The storage landscape today is a completely different picture from when closed format solutions went live. This change alone offers significant opportunities to businesses. By combining the right storage solutions with seamless architecture and with lights out orchestration driving the entire process, businesses can flourish by allowing their storage to react to the needs of the business, not constrain them. Ortana has purposefully ensured Cubix (our asset management, automation, and orchestration platform) is as storage agnostic as possible by integrating a range of on-premises and cloud-based solutions, and built an orchestration engine that is fully abstracted from this integration layer. The end result is that workflow changes can be done in seconds without affecting the storage. As our example CTO would say (shaking their head no doubt whilst saying it), a company’s main priority is to not-be-here-again, and the key is to store media in an open format, not bound to any one vendor, but also accessible to the business needs both today and tomorrow. The cost of online cloud storage such as Backblaze has now made storing content in the cloud more cost effective than LTO and this cost is only set to reduce further. This, combined with the ample internet bandwidth that has become ubiquitous, makes cloud storage an obvious primary storage target. Entirely agnostic to the format and codec of content you are storing, aligned with MPAA best practices and easily integrated to any on-premise or cloud-based workflows, cloud storage removes many of the issues faced by closed-format HSMs deployed in so many facilities today. It also begins to change the dialogue over main vs DR storage, since it’s no longer based at a facility within the business. Sometimes people worry that cloud storage will be too slow. Where this is true, it is almost always due to poor cloud implementation. B2 is online, meaning that the time-to-first-byte is almost zero, whereas other cloud solutions such as Amazon Glacier are cold storage, meaning that the time-to-first-byte ranges from at best one to two hours, but in general six to twelve hours. Anything that is to replace an LTO solution needs to match or beat the capacity and speed of the incumbent solution, and good workflow design can ensure that restores are done as promptly as possible and direct to where the media is needed. But what about those nasty egress costs? People can get caught off guard when this is not budgeted for correctly, or when their workflow does not make good use of simple solutions such as proxies. Regardless of whether your archive is located on LTO or in the cloud, proxies are critical to keeping accessibility up and costs and restore times down. By default, when we deploy Cubix for clients we always generate a frame accurate proxy for video content, often devalued through the use of burnt-in timecode (BITC), logos, and overlays. Generated using open source transcoders, they are incredibly cost effective to generate and are often only a fraction of the size of the source files. These proxies, which can also be stored and served directly from B2 storage, are then used throughout all our portals to allow users to search, find, and view content. This avoids the time and cost required to restore the high resolution master files. Only when the exact content required is found is a restore submitted for the full-resolution masters. Moving content to the cloud doesn’t remove the risk of working with a single provider, however. No matter how good or big they are, it’s always a wise idea to ensure an active disaster recovery solution is present within your workflows. This last resort copy does not need all the capabilities of the primary storage, and can even be more punitive when it comes to restore costs and times. But it should be possible to enable in moments, and be part of the orchestration engine rather than being a manual process. The need to de-risk that single provider, or for workflows where 30-40% of the original content has to be regularly restored (as proxies do not meet the needs of the workflow), on premise archive solutions still can be deployed without being caught in the issues discussed earlier. Firstly, LTO now offers portability benefits through LTFS, an easy to use open format, which critically has its specification and implementation within the public domain. This ensures it is easily supported by many vendors and guarantees support longevity for on-premises storage. Ortana with its Cubix platform supports many HSMs that can write content in native LTFS format that can be read by any standalone drive from any vendor supporting LTFS. Also, with 12 TB hard drives now standard in the marketplace, nearline based storage has also become a strong contender for content when combined with intelligent storage tiering to the cloud or LTO. Cubix can fully automate this process, especially when complemented by such vendors as GB Labs’ wide range of hardware solutions. This mix of cloud, nearline and LTO — being driven by an intelligent MAM and orchestration platform like Cubix to manage content in the most efficient means possible on a per workflow basis — blurs the lines between primary storage, DR, and last resort copies. Once you have your storage mix agreed upon and in place, now your fraught task is getting your existing library onto the new solution whilst not impacting access to the business. Some HSM vendors suggest swapping your LTO tapes by physically removing them from one library and inserting them into another. Ortana knows that libraries are often the linchpin of the organisation and any downtime has significant negative impact that can fill media managers with dread, especially since these one shot, one direction migrations can easily go wrong. Moreover, when following this route, simply moving tapes does not persist any editorial metadata or resolve many of the objectives around making content more available. Cubix not only manages the media and the entire transformation process, but also retains the editorial metadata from the existing archive also. Given the high speeds that LTO delivers, combined with the scalability of Cubix, the largest libraries can be migrated in short timescales, whilst having zero downtime on the archive. Whilst the content is being migrated to the defined mix of storage targets, Cubix can perform several tasks on the content to further augment the metadata, including basics such as proxy and waveform generation, through to AI based image detection and speech to text. Such processes only further reduce the time spent by staff looking for content, and further refine the search capability to ensure only that content required is restored — translating directly to reduced restore times and egress costs. Many of the above concerns and considerations led a large broadcaster to Ortana for a large-scale migration project. The broadcaster produces in-house news and post production with multi-channel linear playout and video-on-demand (VoD). Their existing archive was 3 PB of media across two generations of LTO tape managed by Oracle DIVArchive & DIVADirector. They were concerned about on-going support for DIVA and wanted to fully migrate all tape and disk-based content to a new HSM in an expedited manner, making full use of the dedicated drive resources available. Their primary goal was to fully migrate all editorial metadata into Cubix, including all ancillary files (subtitles, scripts, etc. ), and index all media using AI-powered content discovery to reduce searching times for news, promos /and sports departments at the same time. They also wanted to replace the legacy Windows Media Video (WMV) proxy with new full HD H264 frame accurate proxy, and provide the business secure, group-based access to the content. Finally, they wanted all the benefits of cloud storage, whilst keeping costs to a minimum. With Ortana’s Cubix Core, the broadcaster was able to safely migrate their DIVAarchive to two storage platforms: LTFS with a Quantum HSM system and Backblaze B2 cloud storage. Their content was indexed via AI powered image recognition (Google Vision) and speech to text (Speechmatics) during the migration process, and the Cubix UI replaced existing archive as media portal for both internal and external stakeholders. The new solution has vastly reduced the timescales for content processing across all departments, and has led to a direct reduction in staff costs. Researchers report a 50-70% reduction in time spent searching for content, and the archive shows a 40% reduction in restore requests. By having the content located in two distinct geographical locations they’ve entirely removed their business risk of having their archive with a single vendor and in a single location. Most importantly, their archived content is more active than ever and they can be sure it will stay alive for the future. How exactly did Ortana help them do it? Join our webinar Evading Extinction: Migrating Legacy Archives on Thursday, March 28, 2019. We’ll detail all the steps we took in the process and include a live demo of Cubix. We’ll show you how straightforward and painless the archive migration can be with the right strategy, the right tools, and the right storage. Backblaze will be exhibiting at NAB 2019 in Las Vegas on April 8-11, 2019. Schedule a meeting with our cloud storage experts to learn how B2 Cloud Storage can streamline your workflow today! The post Migrating Your Legacy Archive to Future-Ready Architecture appeared first on Backblaze Blog | Cloud Storage & Cloud Backup. If you make copies of your images or video files for safekeeping, are you backing them up or archiving them? It’s been discussed many times before, but the short answer is that it depends on the function of the copy. 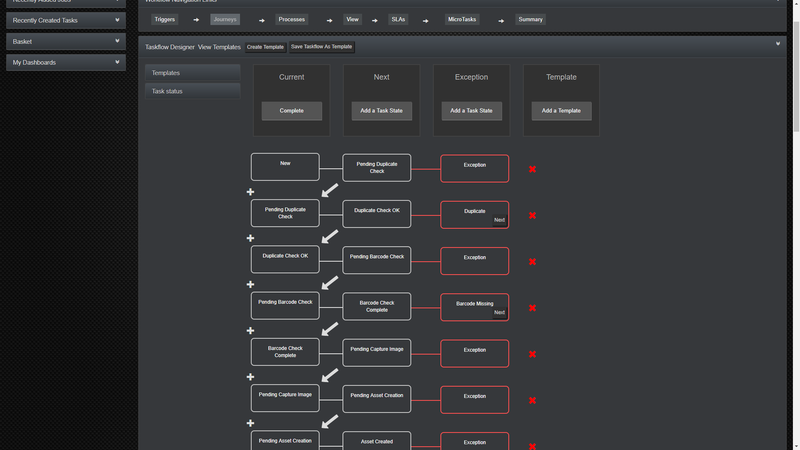 For media workflows, a crisp understanding is required in order to implement the right tools. In today’s post, we’ll explore the nuances between backup and archiving in media workflows and provide a real world application from UCSC Silicon Valley. We explored the broader topic of backing up versus archiving in our What’s the Diff: Backup vs Archive post. It’s a backup if you copy data to keep it available in case of loss, while it’s an archive if you make a copy for regulatory compliance, or to move older, less-used data off to cheaper storage. Simple, right? Not if you’re talking about image, video and other media files. Traditional definitions don’t fully capture how backup and archive typically operate in professional media workflows compared to business operations. Video and images aren’t typical business data in a number of ways, and that profoundly impacts how they’re protected and preserved throughout their lifecycle. With media backup there are key differences in which files get backed up and how they get backed up. 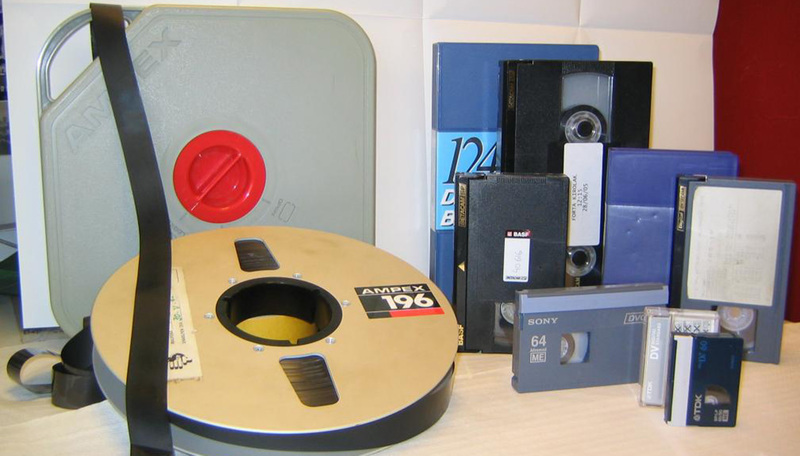 With media archive there are key differences in when files get archived and why they’re archived. The most obvious nuance is that media files are BIG. While most business documents are under 30 MB in size, a single second of video could be larger than 30 MB at higher resolutions and frame rates. Backing up such large file sizes can take longer than the traditional backup windows of overnight for incremental backups and a weekend for full backup. And you can’t expect deduplication to shorten backup times or reduce backup sizes, either. Video and images don’t dedupe well. Meanwhile, the editing process generates a flurry of intermediate or temporary files in the active content creation workspace that don’t need to be backed up because they can be easily regenerated from source files. The best backup solutions for media allow you to specify exactly which directories and file types you want backed up, so that you’re taking time for and paying for only what you need. Another difference is that archiving to reduce production storage costs is much more common in professional media workflows than with business documents, which are more likely to be archived for compliance. 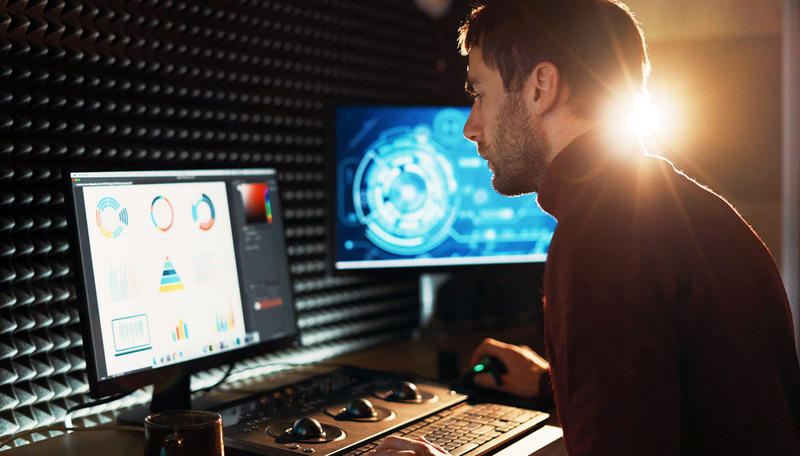 High-resolution video editing in particular requires expensive, high-performance storage to deliver multiple streams of content to multiple users simultaneously without dropping frames. With the large file sizes that come with high-resolution content, this expensive resource fills up quickly with content not needed for current productions. Archiving completed projects and infrequently-used assets can keep production storage capacities under control. Media asset managers (MAMs) can simplify the archive and retrieval process. Assets can be archived directly through the MAM’s visual interface, and after archiving, their thumbnail or proxies remain visible to users. Archived content remains fully searchable by its metadata and can also be retrieved directly through the MAM interface. For more information on MAMs, read What’s the Diff: DAM vs MAM. Strategically archiving select media files to less expensive storage allows facilities to stay within budget, and when done properly, keeps all of your content readily accessible for new projects and repurposing. A less obvious way that media is different is that video files are fixed content that don’t actually change during the editing process. Instead, editing suites compile changes to be made to the original and apply the changes only when making the final cut and format for delivery. Since these source files are not going to change, and are often irreplaceable, many facilities save a copy to secondary storage as soon as they’re ingested to the workflow. This copy serves as a backup to the file on local storage during the editing process. Later, when the local copy is no longer actively being used, it can be safely deleted knowing it’s secured in the archive. I mean backup. Wait, which is it? Whether you call it archive or backup, make a copy of source files in a storage location that lives forever and is accessible for repurposing throughout your workflow. To see how all this works in the real world, here’s how UCSC Silicon Valley designed a new solution that integrates backup, archive, and asset management with B2 cloud storage so that their media is protected, preserved and organized at every step of their workflow. UCSC Silicon Valley built a greenfield video production workflow to support UC Scout, the University of California’s online learning program that gives high school students access to the advanced courses they need to be eligible and competitive for college. Three teams of editors, producers, graphic designers and animation artists — a total of 22 creative professionals — needed to share files and collaborate effectively, and digital asset manager Sara Brylowski was tasked with building and managing their workflow. Sara and her team had specific requirements. For backup, they needed to protect active files on their media server with an automated backup solution that allowed accidentally deleted files to be easily restored. Then, to manage storage capacity more effectively on their media server, they wanted to archive completed videos and other assets that they didn’t expect to need immediately. To organize content, they needed an asset manager with seamless archive capabilities, including fast self-service archive retrieval. They wanted the reliability and simplicity of the cloud to store both their backup and archive data. “We had no interest in using LTO tape for backup or archive. Tape would ultimately require more work and the media would degrade. We wanted something more hands off and reliable,” Sara explained. The cloud choice was narrowed to Backblaze B2 or Amazon S3. Both were proven cloud solutions that were fully integrated with the hardware and software tools in their workflow. Backblaze was chosen because its $5 per terabyte per month pricing was a fraction of the cost of Amazon S3. The team had previously used the university’s standard cloud backup service to protect active files on the media server as they worked on new videos. But because that cloud backup was designed for traditional file servers, it backed up everything, even the iterative files generated by video production tools like Adobe Premiere, After Effects, Maya 3D and Cinema 3D that didn’t need to be backed up. For this reason, Sara pushed to not use the university’s backup provider. It was expensive in large part because it was saving all of this noise in perpetuity. After creating thousands of videos for 65 online courses, their media server was quickly filling to its 128 TB capacity. They needed to archive data from completed projects to make room for new ones, sooner rather than later. 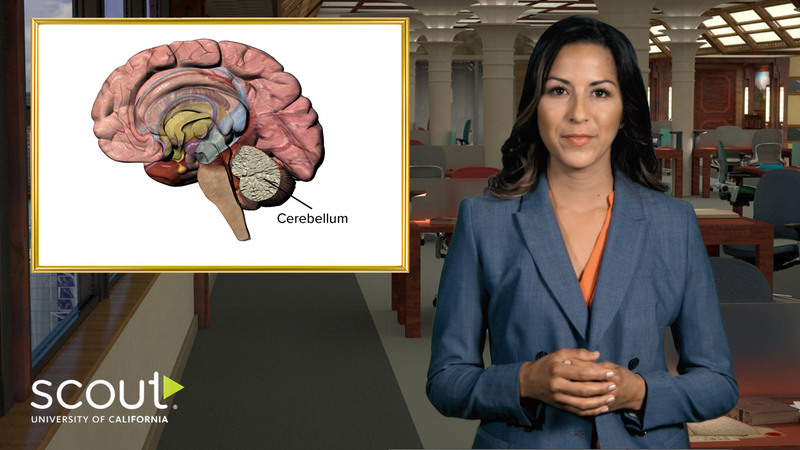 Deploying a MAM solution would simplify archiving, while also helping them organize their diverse and growing library of assets — video shot in studio, B-roll, licensed images, and audio from multiple sources. To find out exactly how Sara and her team addressed these challenges and more, read the full case study on UC Scout at UCSC Silicon Valley and learn how their new workflow enables them to concentrate on creating videos, not managing storage. The post How Backup and Archive are Different for Professional Media Workflows appeared first on Backblaze Blog | Cloud Storage & Cloud Backup. Ever since commercial cloud services were launched over 12 years ago, media and entertainment professionals have debated how and where cloud services best fit in their workflows. Archive and delivery were seen as the most natural fits. But complete, that is, end-to-end cloud workflows were seen as improbable due to the network bandwidth required to edit full-resolution content. Now, with new cloud-oriented creative tools on the market, cloud is now playing a role at every step of creative workflows. Of course, it’s one thing to talk about complete cloud workflows and it’s another thing to show how the cloud has transformed an actual customer’s workflow from end-to-end. But that’s exactly what healthcare content provider Everwell did by building a streamlined work from anywhere workflow with cloud storage and cloud-delivered asset management. The best part was that rolling out the new cloud workflow was just as painless as it was transformative for their business. Everwell was founded on the idea that millions of TVs in medical office lobbies and waiting rooms could deliver compelling, well-produced healthcare educational content. Hospitals, medical groups, and medical practitioners that sign up with Everwell receive media players pre-loaded with an extensive library of Everwell’s educational videos along with software that allows each practice to customize the service with their own information. As the number of subscribers and demand for their content grew, Everwell COO Loren Goldfarb realized that their production workflow needed to adapt quickly or they wouldn’t be able to scale their business to meet growth. The production workflow was centered around an on-site media asset management (MAM) server with on-site storage that had served them well for several years. But as the volume of raw footage grew and the file sizes increased from HD to 4K, their MAM struggled to keep up with production deadlines. At the same time, Everwell’s content producers and editors needed to work more efficiently from remote locations. Having to travel to the main production office to check content into the media asset manager became a critical bottleneck. Their existing MAM was designed for teams working in a single location, and remote team members struggled to maintain access to it. And the off-site team members and Everwell’s IT support staff were spending far too much time managing VPNs and firewall access. Given the pain of a distributed team trying to use systems designed for a single office, it was no surprise that off-site producers resorted to shipping hard drives directly to editors, bypassing the asset management system altogether. Content was extremely vulnerable to loss while being shipped around on hard drives. And making editorial changes to content afterward without direct access to the original source files wasn’t practical. Content was becoming increasingly disorganized and hard for users to find or repurpose. Loren knew that installing servers and storage at every remote production site was not an option. What Loren needed was an asset management solution that could keep productions moving smoothly and content organized and protected, even with remote producers and editors, so that his team could stay focused on creating content. He soon realized that most available MAMs weren’t built for that. After reviewing and rejecting several vendors on his own, Loren met with Jason Perr of Workflow Intelligence Nexus. Jason proposed a complete cloud workflow solution with iconik for asset management and B2 for cloud storage. Built by established MAM provider Cantemo, iconik takes an entirely new approach by delivering asset management with integrated workflow tools as an on-demand service. With iconik, everything is available through a web browser. Jason helped Everwell migrate existing content, then deploy a complete, cloud-based production system. Remote producers can easily ingest content into iconik, making it immediately available to other team members anywhere on the planet. As soon as content is added, iconik’s cloud-based compute resources capture the files’ asset metadata, generate proxies, then seamlessly store both the proxies and full-resolution content to the cloud. 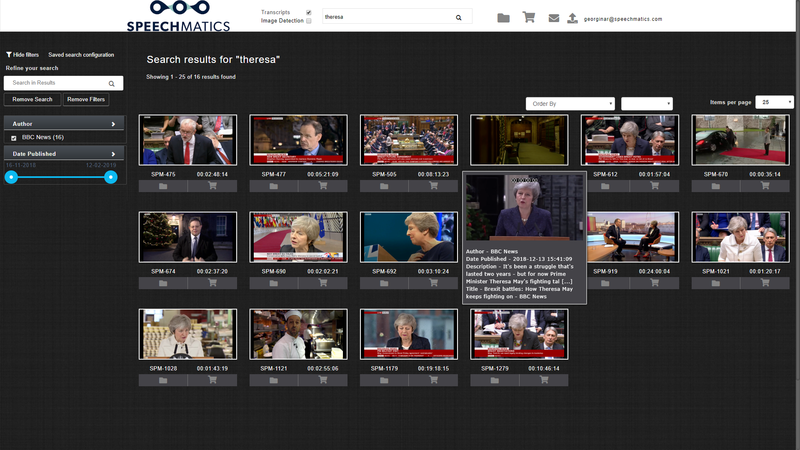 What’s more, iconik provides in-the-cloud processing for advanced metadata extraction and other artificial intelligence (AI) analysis to enrich assets and allow intelligent searching across the entire content library. Another critical iconik feature for Everwell is the support for cloud-based proxy editing. Proxies stored in the cloud can be pulled directly into Adobe Premiere, allowing editors to work on their local machine with lower resolution proxies, rather than having every editor download the full-resolution content and generate their own proxy. 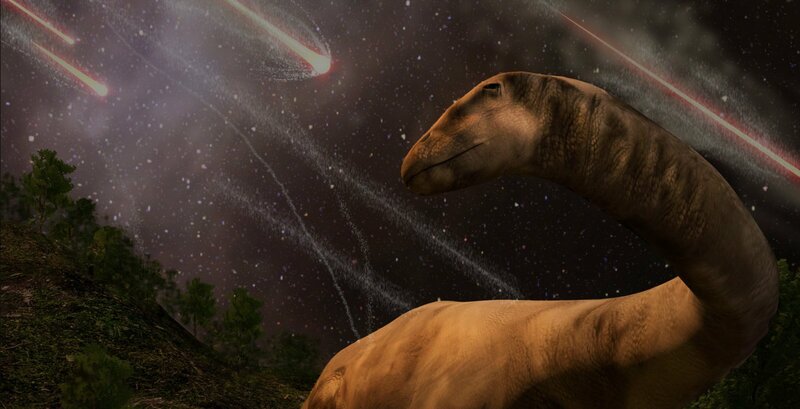 After the proxy editing is complete, full-resolution sequences are rendered using the full-resolution originals stored in B2 cloud storage and then returned to the cloud. Iconik also offers cloud-based compute resources that can perform quality checks, transcoding, and other processing its customers need to prepare the content for delivery. Working behind the scenes, cloud storage seamlessly supports the iconik asset management system, hosting and delivering proxy and full-resolution content while keeping it instantly available for editing, metadata extraction, and AI or other processing. And because cloud storage is built with object storage instead of RAID, it offers the extreme durability needed to keep valuable content highly protected with the infinite scalability needed to grow capacity on demand. Backblaze B2’s combination of data integrity, dramatically lower pricing than other leading cloud storage options, and full integration with iconik made it an obvious choice for Everwell. With B2, they no longer have to pay for or manage on-site production storage servers, tape, or disk-based archives — all their assets are securely stored in the cloud. This was the seamless, real-time solution that Loren had envisioned, with all of the benefits of a truly cloud-delivered and cloud-enabled solution. Both iconik and Backblaze services can be scaled up in minutes and the pricing is transparent and affordable. He doesn’t pay for services or storage he doesn’t use and he was able to phase out his on-site servers. Everwell’s next challenge was migrating their enormous content library of raw material and existing asset metadata without impacting production. With Jason of Workflow Intelligence Nexus guiding them, they signed up for Backblaze’s B2 Fireball, the rapid ingest service that avoids time-consuming internet transfers by delivering content directly to their cloud-based iconik library. As part of the service, Backblaze sent Everwell the 70TB Fireball. Everwell connected it to their local network and copied archived content onto it. Meanwhile, Jason and Loren’s team exported the metadata records from their existing asset manager and with a migration tool from Workflow Intelligence Nexus, they automatically created new placeholder records in iconik with all of that metadata. Everwell then shipped the Fireball back to the Backblaze data center where all of the content was securely uploaded to their B2 account. iconik then scanned and identified the content and linked it to the existing iconik records. The result was an extremely fast migration of an existing content archive to a new cloud-based MAM that was immediately ready for production work. With a cloud-based asset management and storage solution in place, production teams like Loren’s can have creative freedom and add significant new capabilities. They can be free to add new editors and producers on the fly and at a moment’s notice, and let them ingest new content from any location and use a single interface to keep track of every project in their expanding asset library. Production teams can use new AI-powered discovery tools to find content quickly and can always access the original raw source files to create new videos at any time. And they’ll have more time to add new features to their service and take on new productions and customers when they wish. Best of all for Loren, he’s now free to grow Everwell’s production operations as fast as possible without having to worry about running out of storage, managing servers, negotiating expensive maintenance contracts, or paying for staff to run it all. Their workflow is more nimble, their workforce is more productive, and Loren finally has the modern cloud-delivered production he’s always wanted. We invite you to view our demo on integrating iconik with B2, 3 Steps to Making Your Cloud Media Archive Active with iconik and Backblaze B2. The post How Cloud-Based MAMs Can Make End-to-End Cloud Workflows a Reality appeared first on Backblaze Blog | Cloud Storage & Cloud Backup. There’s a reason digital asset management (DAM) and media asset management (MAM) seem to be used interchangeably. Both help organizations centrally organize and manage assets — images, graphics, documents, video, audio — so that teams can create content efficiently and securely. Both simplify managing those assets through the content life cycle, from raw source files through editing, to distribution, to archive. And, as a central repository, they enable teams to collaborate by giving team members direct access to shared assets. 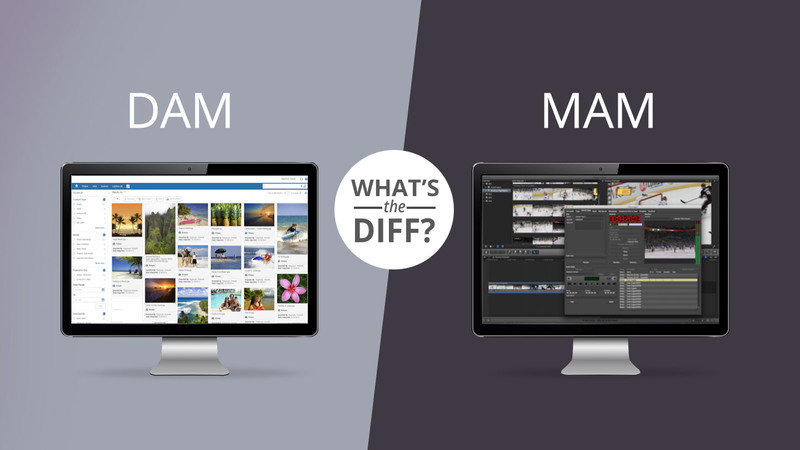 A quick answer to the difference is that MAM is considered a subset of the broader DAM, with MAMs providing more video capabilities. But since most DAMs can manage videos, and MAMs vary widely in what kind of video-oriented features they offer, it’s worth diving deeper to understand these different asset management solutions. Collaboration — Members of content creation teams all should have direct access to assets in the asset management system from their own workstations. Access control — Access to specific assets or groups of assets should be allowed or restricted based on the user’s rights and permission settings. This is particularly important if teams work in different departments or for different external clients. Browse — Assets should be easily identifiable by more than their file name, such as thumbnails or proxies for videos, and browsable in the asset manager’s graphical interface. Metadata search — Assets should be searchable by attributes assigned to them, known as metadata. Metadata assignment capabilities should be flexible and extensible over time. Preview — For larger or archived assets, a preview or quick review capability should be provided, such as playing video proxies or mouse-over zoom for thumbnails. Versions — Based on permissions, team members should be able to add new versions of existing assets or add new assets so that material can be easily repurposed for future projects. Metadata is a critical element that distinguishes asset managers from file browsers. Without metadata, file names end up doing the heavy lifting with long names like 20190118-gbudman-broll-01-lv-0001.mp4, which strings together a shoot date, subject, camera number, clip number, and more. Structured file naming is not a bad practice, but it doesn’t scale easily to larger teams of contributors and creators. And metadata is not used only to search for assets, it can be fed into other workflow applications integrated with the asset manager for use there. Metadata is particularly important for images and video because, unlike text-based documents, they can’t be searched for keywords. Metadata can describe in detail what’s in the image or video. For example, metadata for an image could be: male, beard, portrait, blue shirt, dark hair, fair skin, middle-aged, outdoors. And since videos are streams of images, their metadata goes one step further to describe elements at precise moments or ranges of time in the video, known as timecodes. For example, video of a football game could include metadata tags such as 00:10:30 kickoff, 00:15:37 interception, and 00:21:04 touchdown. More robust DAMs and MAMs go beyond the basic capabilities and offer a range of advanced features that simplify or otherwise support the creation process, also known as the workflow. These can include features for editorial review, automated metadata extraction (e.g. transcription for facial recognition), multilingual support, automated transcode, and much, much more. This is where different asset management solutions diverge the most and show their customization for a particular type of workflow or industry. Regardless of whether you need all the bells and whistles in your asset manager, as your content library grows it will need storage management features, starting with archive. Archiving completed projects and assets that are infrequently used can conserve disk space on your server by moving them off to less expensive storage, such as cloud storage or digital tape. In particular, images and video are huge storage hogs, and the higher the resolution, the more storage capacity they consume. Regular archiving can keep costs down and keep you from having to upgrade your expensive storage server every year. Asset managers with built-in archiving make moving content into and out of an archive seamless and straightforward. For most asset managers, assets can be archived directly from the graphical interface. After archive, the thumbnails or proxies of the archived assets continue to appear as before, with a visual indication that they’re archived on secondary storage. Users can retrieve the asset as before, albeit with some time delay that depends on the archive storage and network connection chosen. A good asset manager will offer multiple choices for archive storage, from cloud storage to LTO tape to inexpensive disk, and from different vendors. An excellent one will let you automatically make multiple copies to different archive storage for added data protection. With all these common characteristics, what makes a media asset manager different than other asset managers is that it’s created for video production. While DAMs can generally manage video assets, and MAMs can manage images and documents, MAMs are designed from the ground up for creating and managing video content in a video production workflow. That means metadata creation and management, application integrations, and workflow orchestration are all video-oriented. Metadata for video starts when it’s shot, with camera data, shoot notes or basic logging captured on set. More detailed metadata cataloging happens when the content is ingested from the camera into the MAM for post-production. Nearly all MAMs offer some type of manual logging to create timecode-based metadata. MAMs built for live broadcast events like sports provide shortcut buttons for key events, such as a face off or slap shot in a hockey game. More advanced systems offer additional tools for automated metadata extraction. For example, some will use facial recognition to automatically identify actors or public figures. There is also metadata related to how, where, and how many times the asset has been used and what kinds of edits have been made from the original. There’s no end to what you can describe and categorize with metadata. Defining it for a content library of any reasonable size can be a major undertaking. Unlike the more general-purpose DAMs, MAMs will integrate tools built specifically for video production. These widely ranging integrated applications include ingest tools, video editing suites, visual effects, graphics tools, transcode, quality assurance, file transport, specific distribution systems, and much more. Modern MAM solutions integrate cloud storage throughout the workflow, and not just for archive, but also for creating content through proxy editing. In proxy editing, video editors work using a lower-resolution of the video stored locally, then those edits are applied later to the full-resolution version stored in the cloud when the final cut in rendered. To sum up, the longer explanation for DAM vs MAM is that MAMs focus on video production, with better MAMs offering all the integrations needed for complex video workflows. And because video workflows are as varied as they are complex, MAMs often fall into specific niches within the industry: news, sports, post-production, film production, etc. The size of the organization or team matters too. To stay within their budget, a small post house may select a MAM with fewer of the advanced features that may be basic requirements for a larger multinational post-production facility. That’s why there are so many MAMs on the market, and why choosing one can be a daunting task with a long evaluation process. And it’s why migrating from one asset manager to another is more common than you’d think. Pro tip: working with a trusted system integrator that serves your industry niche can save you a lot of heartache and money in the long run. Finally, keep in mind that for legacy reasons, sometimes what’s marketed as a DAM will have all the video capabilities you’d expect from MAM. So don’t let the name throw you off. Instead, look for an asset manager that fits your workflow with the features and integrated tools you need today, while also providing the flexibility you need as your business changes in the future. The post What’s the Diff: DAM vs MAM appeared first on Backblaze Blog | Cloud Storage & Cloud Backup.